There’s so much talk about diet and what we’re putting in our bodies — but what about what we’re putting on our bodies? Like foods, our skin care and beauty products can have some funky-sounding ingredients, and while some are benign, others are not. The trouble is that our skin absorbs these chemicals — both good and bad — so it’s important to know the ingredients we’re lathering and spraying our bodies with. 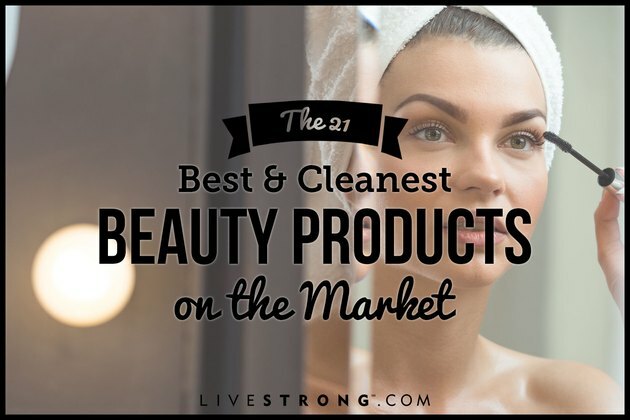 We spent nearly three months searching for the best of the best, testing out hundreds of products touting to be “green” and “natural” (i.e., free of parabens, dyes, sulfates and the like). When ranking products, we took into consideration the following: the Environmental Working Group’s Skin Deep score (when available), animal testing, eco-friendliness and, of course, our own test results. Here’s the good news: The green beauty market plays a competitive game. “These days, nontoxic makeup performs better than most conventional brands, so this makes the search quite easy as well. Base the analysis of the makeup performance on your skin type and how the product wears and (of course) looks on the skin,” advises Anne Nelson Sanford, perfumer and founder of LURKbeauty. 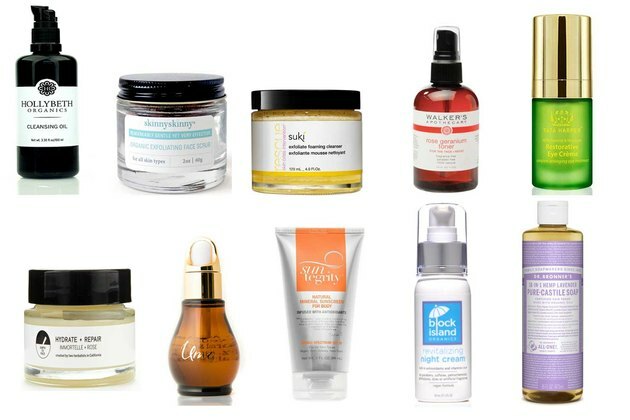 Here’s the roundup of our favorite green beauty performers. SHAMPOO: Shampoo by Rahua Extracted from the rahua nut, the oil in this shampoo actually repairs each strand instead of just coating the hair. It’s perfect for all hair types, especially color-treated hair. Most importantly, it leaves your locks feeling soft and silky — seriously. Quick tip: For those transitioning straight from your run-of the-mill shampoos found in most grocery stores, make sure your head has been soaked well with water before adding the shampoo so you get a good, sudsy lather. CONDITIONER: John Masters Organics Rose & Apricot Hair Milk This product is probably better described as a “leave-in conditioner,” but it’s not heavy and oily like other products you might be accustomed to. This light “hair milk” can be used every day — yes, even on fine strands — to repair and protect your hair. It cuts down on frizz and adds shine too. Who doesn’t love that? DRY SHAMPOO: One Love Organics Healthy Locks Dry Shampoo Powder For those who are already dry shampoo converts, you understand the impact this product can have on your life, giving you back precious time in the morning. More sleep, anyone? One Love Organics Healthy Locks is a staple for Stephanie Wong, an L.A.-based personal trainer and green-beauty enthusiast. “I don’t wash my hair every day, so One Love works wonders when it’s looking a bit greasy at the root. And I’m a fan of the smaller, travel-friendly option.” Another plus: There’s no overwhelming scent when applied, and it adds texture to your hair. 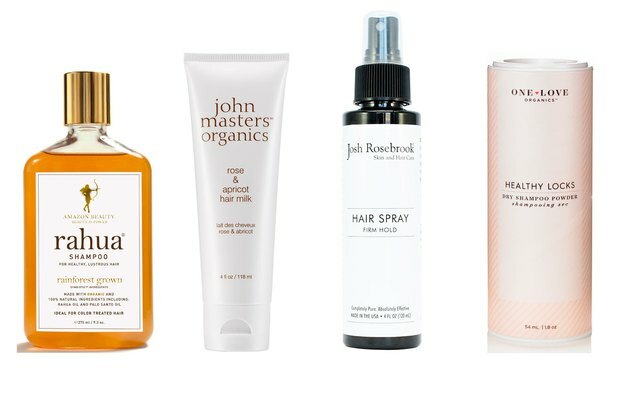 HAIR SPRAY: Josh Rosebrook Hair Spray Firm Hold Water, brown rice, yucca, sage, thyme, peppermint and rosemary. This sounds like the start of a delicious (and healthy) meal, but these are actually the first few ingredients listed in this non-aerosol hair spray. True to its name, it offers a firm hold while still allowing your hair some movement — no crunchy-hair feeling found here. FACIAL CLEANSER: HollyBeth Organics Cleansing Oil Washing your face with oil might seem counterintuitive, but the cleansing oils found in HollyBeth Organics help remove the bad oils and other impurities from your face without stripping your skin of its moisture. HollyBeth Organics Cleansing Oil is gentle and leaves your face feeling hydrated, which is crucial for keeping skin looking young. EXFOLIATOR: Skinny Skinny Organic Exfoliating Face Scrub With the texture and appearance of fine sand, this face scrub gets the job done while being gentle at the same time. Its ingredient list reads like a DIY scrub you could concoct in your own kitchen: organic oatmeal, lavender buds, camu camu, baking soda, black pepper and neem leaf oil. Skinny Skinny’s exfoliator will clean out your pores and leave your skin feeling soft. EXFOLIATOR (TIE): Suki Exfoliate Foaming Cleanser Everyone could benefit from this cleanser, but it’s especially great for those with skin troubles. “I primarily work with Suki for both my clients and myself,” says Selena Starbard, licensed esthetician at Fabriq, a Philadelphia-based spa focused on organic, cruelty-free and food-grade quality beauty products. “This product dramatically changed my skin after a battle with acne and the scars that it left. It’s suitable for many different skin types and totally refreshes your skin,” says Starbard. TONER: Walker’s Apothecary Rose Geranium Toner Get ahead of breakouts with Walker’s Apothecary Rose Geranium Toner. Comprised of just six ingredients, including aloe juice, water, chamomile, rose damascena, lavender and geranium, you can feel good about adding this to your daily regimen. It’s ideal before moisturizer and, according to the company (although not tested for this article), it can also be used in your hair to “freshen and hydrate curls.” A two-for-one! This alcohol-free toner will leave your face feeling freshened and hydrated. FACE BALM: Earth Tu Face Hydrate + Repair Serum By far, this was one of the best products tested. Earth Tu Face is the answer for anyone with normal to dry skin or even skin that needs intensive repair. It leaves your face moisturized all day long and regenerates and repairs skin tissue. On the “moisturizing spectrum,” it gets an A+ for hydrating, so it might not be the best pick for someone with naturally oily skin. It smells great, goes on smooth and soaks right into your skin. It’s on the pricier side, but a little bit goes a long way. FACE OIL: Uma Ultimate Brightening Face Oil Again, adding oil to your face might seem counterintuitive, but after trying any one of Uma’s facial oils, you’ll be convinced otherwise. After just a few weeks of using this product consistently, there was a noticeable reduction in fine lines. Made of 100 percent organic essential oils, Uma’s luxury oils combine Ayurveda and aromatherapy to bring you blissful beauty. SUNSCREEN: Suntegrity Natural Mineral Sunscreen The majority of the products mentioned here won’t matter if you don’t protect your skin from the sun. “The sun is the culprit in so many skin problems, including dark spots, wrinkles, loss of elasticity and even skin cancer,” says says Selena Starbard, licensed esthetician at Fabriq. “Try to make it a habit to apply and reapply sunscreen daily.” Suntegrity blends in well under makeup; it doesn’t leave any thick white streaks that are difficult to rub in. EYE CREAM: Tata Harper Restorative Eye Crème Tata Harper’s Restorative Eye Crème is thick yet silky, and a little bit goes a long way on your poppers. After consistent use for more than one month, the biggest improvement was seen in the reduction of dark under-eye shadows. Tata Harper has a comprehensive skin care and beauty line that is 100 percent sourced out of Vermont. The company prides itself on creating products that are cruelty-free and eco-friendly — so you can look good and feel good. NIGHT CREAM: Block Island Organic Revitalizing Night Cream You can sleep soundly knowing Block Island’s night cream — free of parabens, sulfates, petrochemicals, phthalates, dyes or artificial fragrances — is doing the job. Or if you have especially dry skin, you might work it into your daytime regimen. “I have extra-dry skin and have even been loving the revitalizing night cream under my makeup during the daytime,” says With Food + Love wellness blogger and certified health coach Sherrie Castellano. BODY WASH: Dr. Bronner’s 18-in-1 Hemp Pure-Castile Soap (Lavender) Eighteen in one, now there’s a deal. Dr. Bronner’s is a solid, affordable option that just gets the job done. This wash creates an enjoyable lather and leaves you squeaky clean. You can also feel good about using this product outside of your own personal benefits; it’s non-GMO, certified vegan and is not tested on animals. You can also use this bargain as a household cleaning solution too, including dishes, mopping and more. FOUNDATION (Light Coverage): Suntegrity Skincare 5 in 1 Natural Moisturizing Face Sunscreen SPF 30 Simplify your morning routine with this 5-in-1 product to treat, hydrate, prime, protect and cover your face in one easy application. This is a game changer for a minimalist or those who just don’t want to commit their entire morning to “getting ready” for work. On the coverage spectrum, this foundation offers light coverage. BLUSH: Vapour Multi Use Stick “I use this primarily for blush, but love that I have the option to throw it on my lips and eyes too,” says Stephanie Wong, L.A.-based personal trainer and green-beauty enthusiast. “The packaging is great for throwing in my purse. I don’t have to worry about a crumbling mess. The creamy blush has been nice because my skin has been so dry lately. I use it every day. The color leaves me with perfect, rosy cheeks.” Available in nine different shades, there’s a color for everyone, adds Wong. LIP COLOR: Tata Harper Volumizing Lip and Cheek Tint Offering a feature that’s hard to find, this lip tint by Tata Harper is moisturizing too. Most other tints can you leave your smoocher feeling parched, but Tata’s uses natural oils — green tea seed, sunflower seed, sacha inchi and acai — to add hydration. “The color and consistency are perfect and long-lasting,” says With Food + Love wellness blogger and certified health coach Sherrie Castellano. It also serves a dual purpose because it’s perfect for your cheeks too. MASCARA: Kjaer Weis Finding an awesome mascara — much less a nontoxic one — can be a daunting task in and of itself. Kjaer Weis mascara kills it in both categories. This gem creates long, thick lashes without the clumps. Like other Kjaer Weis products, the one-time purchase is packaged in a stunning reusable metal case, and when you need to replenish, refillable mascaras are available in minimal, recycled packaging materials. EYELINER: Alima Pure Satin Matte Eyeliner (Black Violet) This loose mineral powder liner requires some practice to perfect it -- but when you do, watch out. Black violet is rich in color and leaves a nice, smoky line along your lid. As with other powder liners, use a wet brush to get that line just right, or apply with a dry brush for a softer, smokier look. This eyeliner stays on all day and doesn’t tiptoe down under your eyes by the end of the day. MAKEUP REMOVER: Dr. Bronner’s Whole Kernel Organic Coconut Oil This is about as easy (and cheap) as it gets. 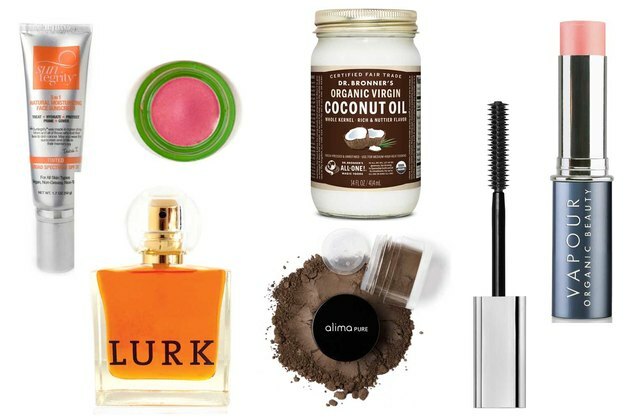 Coconut oil breaks up the toughest of makeup and is great for removing eye makeup without causing irritation. On top of smelling like a mini vacation and being super effective, it adds moisture to your face as well. You know, in case you forget to use a nighttime cream. Do you think about the ingredients in your beauty products? If so, what do you try to eliminate? Parabens? Sulfates? Dyes? What are some of your favorite products and brands? Where do you find your products? DermStore? Detox Market? Share your tips and recommendations with us in the comments below.